We are heading south for the winter to Kangaroo Island, Australia for this week’s Traveling in Style guide. It has been said that winter (June-August) is one of the best times to travel to this unique destination, because it’s just when all the baby kangaroos, koalas, and wallabies emerge from their pouches. 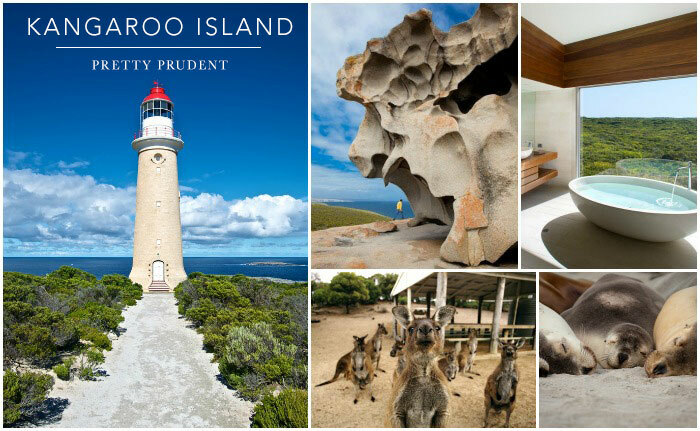 If being surrounded by cute baby animals isn’t enough, Kangaroo Island also has beautiful sights, delicious food, festivals, and some of the finest honey in the world. Book your stay in the luxurious Southern Ocean Lodge. Soak in that incredible tub (pictured above) while gazing out at the green hills and crystal blue ocean. Learn the history of the island at the Cape Willoughby Lighthouse. Explore the museum and then climb to the top of the lighthouse for a spectacular view. Take a culinary journey around the island form May 1st to the 8th at the famous Kangaroo Island FEASTival. Meet the wildlife firsthand at Paul’s Place Wildlife Sanctuary. Here you can bottle-feed baby animals, hold a baby kangaroo, and even cuddle a koala. Head to the waters during the winter to take advantage of the incredible whale watching at that time of year. Keep an eye on the coastline for the local colony of seals and sea lions, their huge groups make them pretty hard to miss. The Remarkable Rocks at Flinders Chase National Park should be a top destination on your list. Don’t forget to bring the camera to capture these unique granite formations. It can get chilly in the winter, so make sure to bring along your classic trench. Pack up your canvas satchel for day outings. 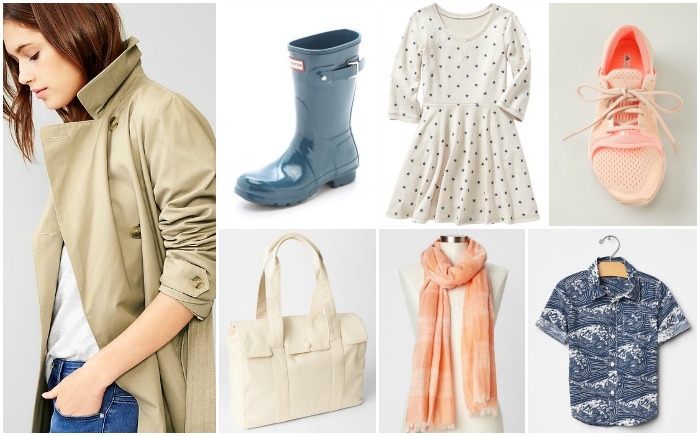 A sturdy pair of rain boots can definitely come in handy since it’s also the rainy season. Bring along a bright scarf to add a pop of color to your outfits. I have my heart set on these Coral Adidas by Stella McCartney that are great for when you’re spending all day on your feet. Pack up the wave print button-down for your little dude. It’s casual enough for the day, but also works great with a pair of khakis for when you go out to dinner. The star dress is a cute option she can wear more than once on the trip. Change up the look with different tights and leggings. While you’re on vacation, take a risk and pick up colorful hair chalk to temporarily turn your hair blue, peach, or a variety of different colors. You could also go blonde all summer long with these helpful tips for maintaining platinum. Kangaroo Island is said to have some of the finest honey in the world because of the pure stock of Ligurian Bees. Try a jar for yourself by ordering one from Clifford’s Honey Farm. Once your honey arrives, make this Crostini with Blue Cheese, Honey, Walnuts and Figs Recipe from Return to Sunday Supper. 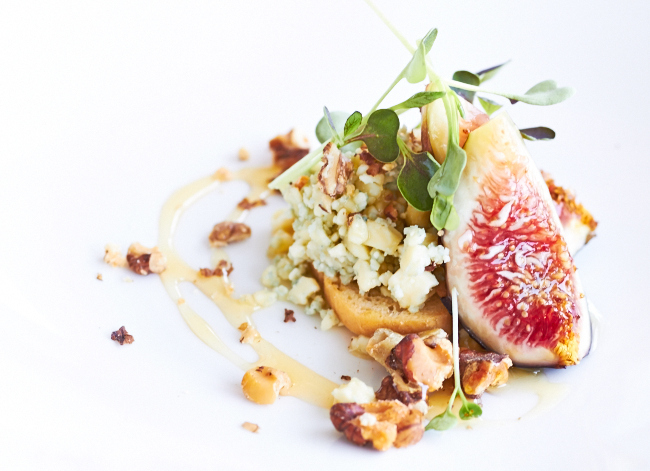 This entire recipe was inspired by her trip to Kangaroo Island and the Ligurian bees. Check out our Travel Inspiration to see more of our Traveling in Style guides.